NBC, the caring, solutions-focused network. Sunday, NBC News kicked off their fourth annual education summit known as EducationNation. We've missed the first three, and probably would have missed the fourth, but the scheduled appearances by Hollywood-types caught our eye: Goldie Hawn, M. Night Shyamalan, and Tony Bennett. Wow! An actor, director, and singer all coming together to give teachers a well-deserved pat on the back. Sounds nice, but it's also not true. Without a day of teaching in the classroom, they are panelists. These must be a new breed of entertainers called edutainers. If they get to be panelists for an education summit, do we get a chance to vote for the Oscars and Grammys? This year's summit "...will explore What It Takes for us as a nation to ensure students are successfully prepared for college, career, and beyond. Leading experts and stakeholders...will delve into critical factors that impact students' chances of success...The three-day gathering brings together more than 300 of the country's top thought leaders..." We stopped reading after the paranoia-inducing, "thought leaders," so we're not sure what more than 300 of them are going to tell us. Probably that we're not working hard enough, we're overpaid, we're lazy, our pensions are bankrupting America and we need to improve test scores by delving (or, latest buzzword: taking a deep dive) into data. CEOs and directors of various charter schools. CEOs and managing partners of companies like AOL, Goldman Sachs, and ExxonMobil (in the case of the latter two companies, looks like some do-gooding to atone for their pesky economic and environmental disasters, respectively). Public schools are represented from across the country and Chicago gets some local representation. A CPS teacher from Fenger Academy sits on one panel, and the Logan Square Neighborhood Association is featured in a case study of how parental involvement can improve a school. Regardless, much of the floor time goes to all manner of reformers. It would have been especially enlightening to see Monday's 8:15 - 9:00 AM panel (we were teaching) What It Takes: Keeping Up With Competition. The lone representative for public schools was Dr. William Hite, the superintendent of the embattled Philadelphia Public Schools. Yes, the same Philadelphia Public Schools that almost failed to open on time this year due the $50 million hole in their budget. Yes, the same system that laid off 3,800 teachers and closed 23 schools. Yes, the same superintendent who almost a year ago gave raises to non-union employees because it's a cost of doing business, while teachers took a 10% pay cut. Sound familiar, Chicago? 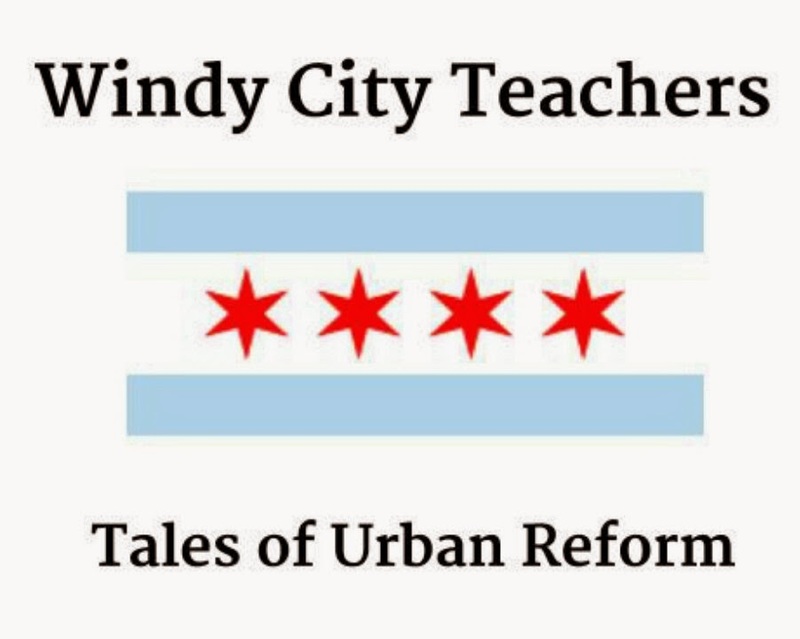 Hite, BBB, and Emanuel must share lesson plans on how to run a district into the ground. In 21st century education, keeping up with competition must mean financially starving a district, making schools non-functional thanks to a self-induced manpower shortage, and using austerity as a means of reform. The summit seems useless and especially disingenuous since it's orchestrated by NBC (at one time owned by General Electric, now owned by cable giant Comcast). More disconcerting is that over the three days of carefully curated panels, not one is devoted to poverty, violence, and funding and the role each plays in school climate and student success. But fear not, for Andrea Phillips, Goldman Sachs' VP of their Urban Investment Group was a panelist today, too. Perhaps she explained credit default swaps or subprime mortgages to the crowd...we jest. It's difficult to have the "solutions-focused" conversation the summit promises without so much as a mention of the poverty, violence, and the inequity of funding many schools face. What about you, readers, will you tune in for any of this? How do these issues play out in your schools? Let us know what you think and leave a comment!